Instead of washing your hands before sitting down to order food, consider placing your order first. Why is this important? 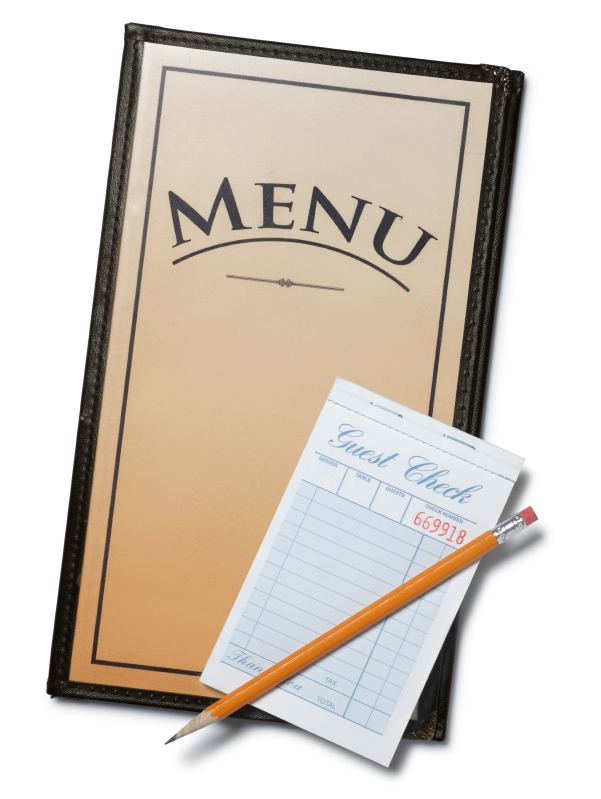 Restaurant menus are handled by many people throughout the day. A study in the Journal of Medical Virology reported that cold and flu viruses can survive for 18 hours on hard surfaces. Some restaurant menus are not included in the cleaning routine and can hold cold and flu germs as well as harmful bacteria. The Journal of Environmental Health reports that Salmonella can survive on laminated restaurant menus for up to 72 hours and E. coli up to 24 hours. This is cause for serious concern. The CDC estimates that food borne diseases are the reason 1 in 6 Americans get food poisoning while approximately 3,000 die. Paper menus were shown to be a safer choice because paper is not a conducive environment for bacteria growth. If there is a choice in using paper or laminated menus choose paper menus. Restaurant owners and managers should consider including laminated and other plastic menus in a sanitizing routine to minimize cross contamination and increase safety for employees and patrons. Concerned about what to do? Avoid allowing the menu to touch your plate or silverware. Keep menus away from small children and babies, and most importantly wash your hands after handling the menu. This entry was posted on Wednesday, June 5th, 2013 at 3:01 pm and is filed under College of Agriculture and Human Sciences. You can follow any responses to this entry through the RSS 2.0 feed. You can leave a response, or trackback from your own site.